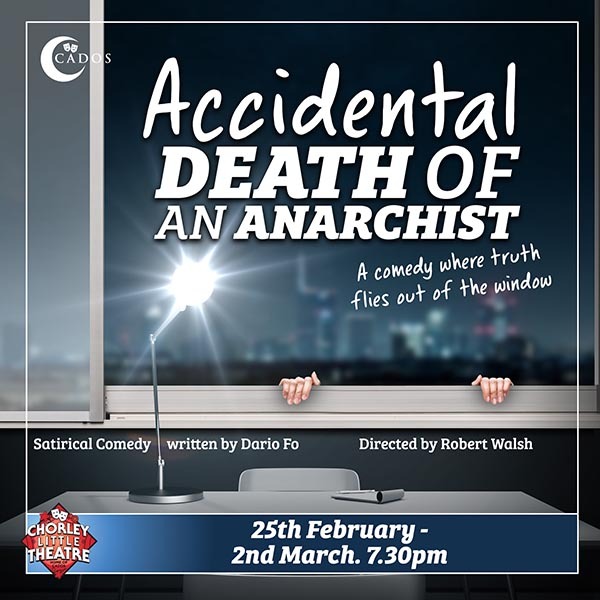 Considered a classic of 20th Century theatre, this sharp and hilarious satire on state corruption opens with a quick-witted fraudster, known only as The Maniac, being interviewed on the third floor of the police headquarters. Learning there may be plans for his “accidental” death, The Maniac assumes a number of guises to avoid and outwit his captors. Comic mayhem ensues as The Maniac runs rings around the police while making his defence to journalist Maria.